Coriander Essential Oil that we offer is known for supporting digestive and circulatory system. The oil is prepared using quality coriander seeds and hygienically processed to provide pure end product. It also supports healthy pancreas, bloating, heartburn, etc. Moreover, its sweet aroma lends a soothing and calming effect on the user. 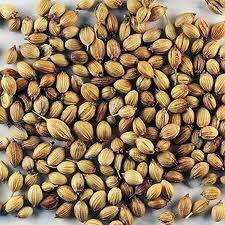 We are capable of undertaking bulk orders of Coriander Essential Oil and deliver the same at nominal rates.